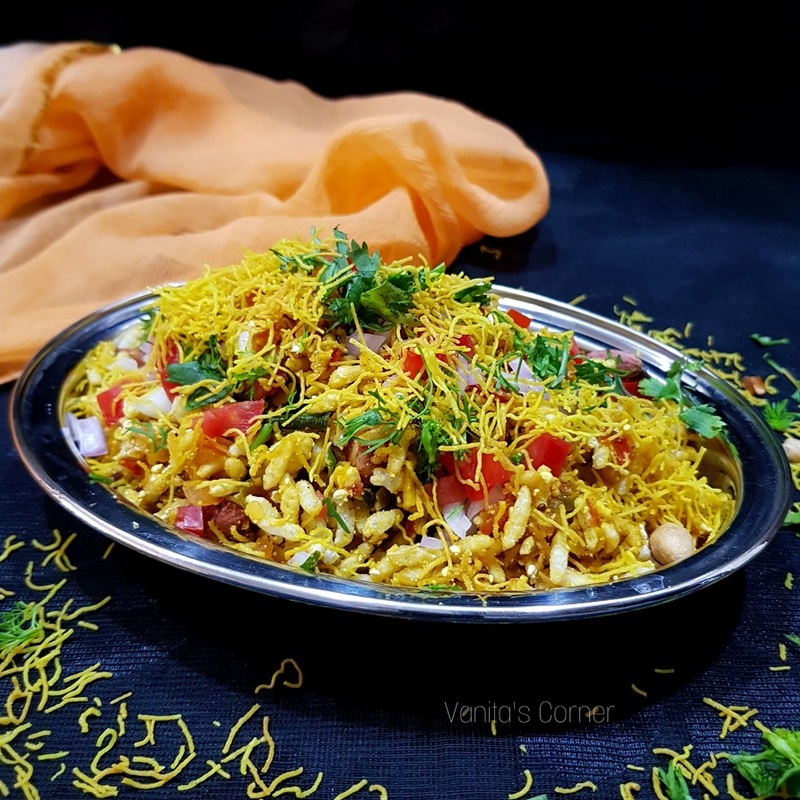 Girmit, the south Indian cousin of the Mumbai bhel is a popular street food form the Dharwad region of north Karnataka. 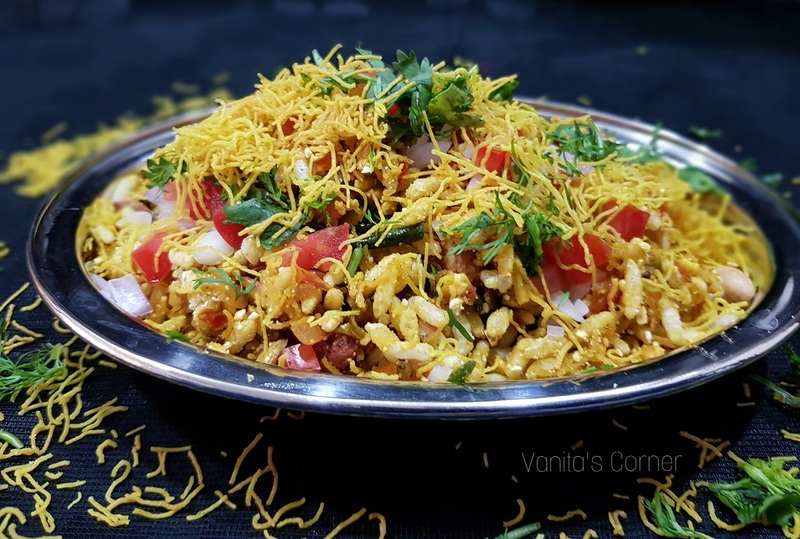 It is prepared by mixing puffed rice (kurmura / churmura/ murmura) with a special masala made with onion, tomato, chillies, tamarind , jaggery and flavoured with chopped coriander and crunchy peanuts. It makes for a perfect tea-time snack. If you have never tasted this before, here’s the recipe for the famous Girmit of Dharwad. In a small bowl, add tamarind, jaggery and ½ cup water. Keep this aside for 30 minutes. After 30 minutes, squeeze the tamarind and jaggery well in the water. Strain and keep tamarind-jaggery pulp aside. Blend roasted chana dal to a fine powder. Keep aside. Heat 1 tsp oil in a pan. Add mustard seeds, cumin seeds and curry leaves. When the seeds start spluttering, add chopped onions. Saute till the onions turn golden brown and soft. Saute and cook till the tomatoes turn soft. Add turmeric powder, tamarind-jaggery pulp, salt and mix. Cook on a slow flame for few minutes. Add 2 tsp chana dal powder and mix. Cook for a minute. Girmit masala is ready. Keep this aside. In a large mixing bowl, add the puffed rice, remaining chana dal powder, sev and peanuts. Give it a mix. Add the girmit masala and mix well. Serve immediately garnished with chopped onions, tomatoes, sev and fresh coriander. I have used store bought roasted peanuts. But you can dry roast raw peanuts and use in this recipe.